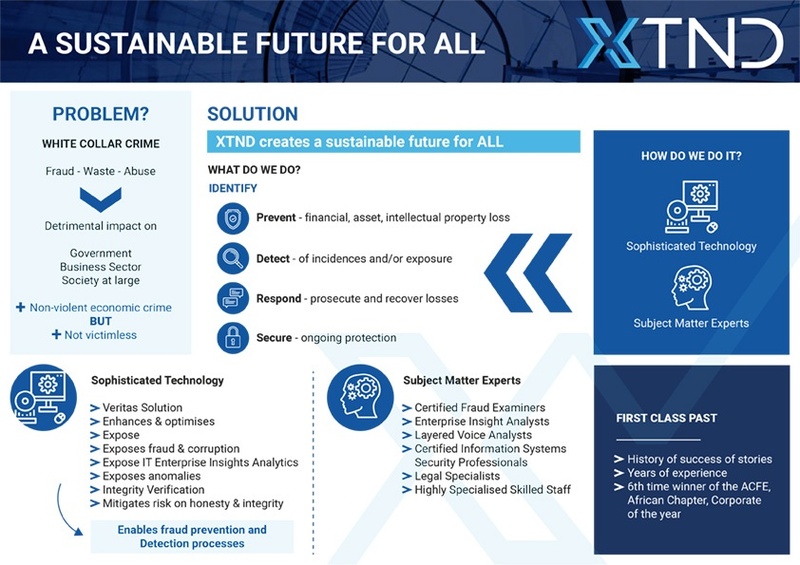 XTND powers the future, providing solutions that are essential in our passionate drive to eradicate white-collar crime. 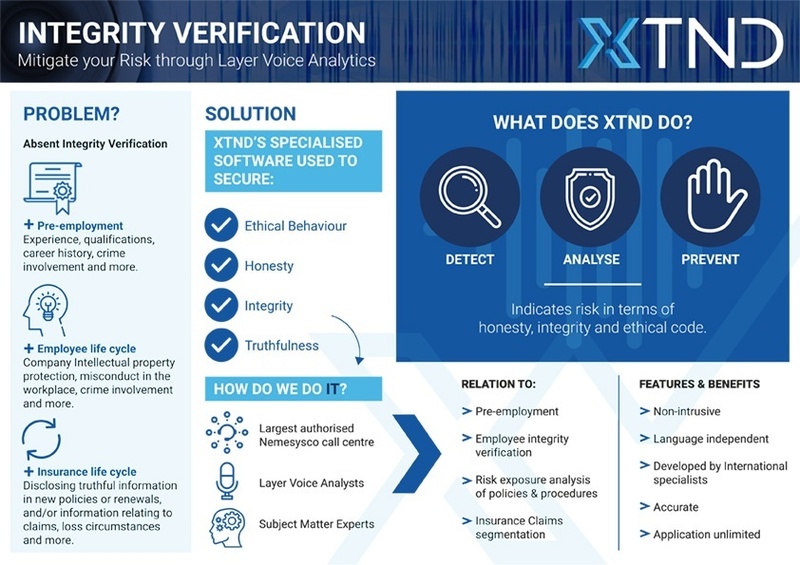 We are agents of change and the track record to prove it in detecting losses/potential losses associated with white collar crime totalling more than R4 Billion. Our team consist of a combination of highly specialized subject matter experts in different forensic disciplines, and highly experienced analysts collaborating in identifying a vast array of white-collar crime risks and occurrences. We believe in value-added solutions to our clients and take pride in our long-term relationships with our existing clients, big or small. Our services and technology are deployed across the business sphere ranging from small enterprises, to Multi-National listed Corporates as well as Government. 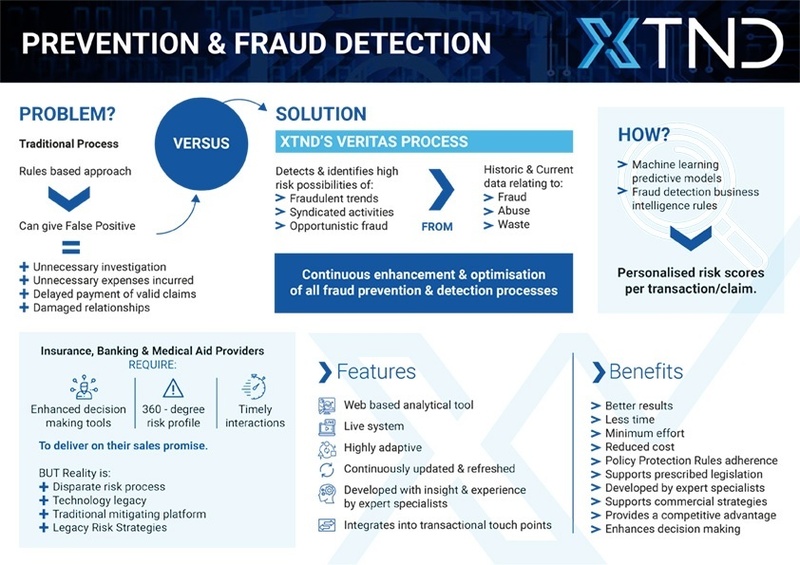 Using sophisticated technologies to guide the deployment of subject matter experts to respond, prosecute and to recover losses impacting their bottom lines. We take the power of data to the next level. We go beyond accessibility by presenting data in understandable, usable and actionable information to empower our customers and business partners in the fight against white-collar crime. 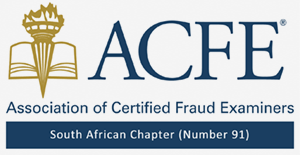 Our several national and international awards include the most sought-after award in the Forensic Services sphere – Corporate Member of the Year of the ACFE Africa – which we received at the Annual Gala event of the Africa Fraud Conference of the Association of Certified Fraud Examiners for 2013, 2014, 2015, 2016 and again in 2018.
to the scourge of white-collar crime crippling our economy.